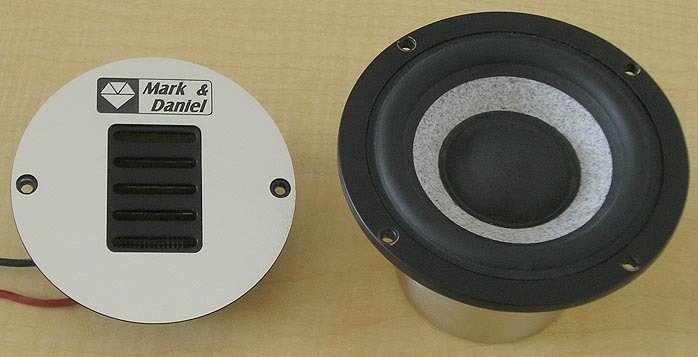 Here at M6, we have by now reviewed the majority of Mark & Daniel speakers. From John Potis to Paul Candy, David Kan to yours truly, different ears have weighed in on different models. No matter what the final conclusion -- most of it from complimentary to very -- there has always been surprise if not outright shock over bass power and reach. And a salient reminder for muscular amplification. Daniel Lee, the firm's head designer in Shanghai, now believes to have created a statement in maximum miniaturization. The new Maximum Mini + is supposed to rewrite the book on the performance that can be (un)reasonably expected from a 10" x 5.6" x 7" enclosure and a $1,400/pr tag which includes a choice of white, Jade Yellow and the above Starry Black synthetic marble finishes. 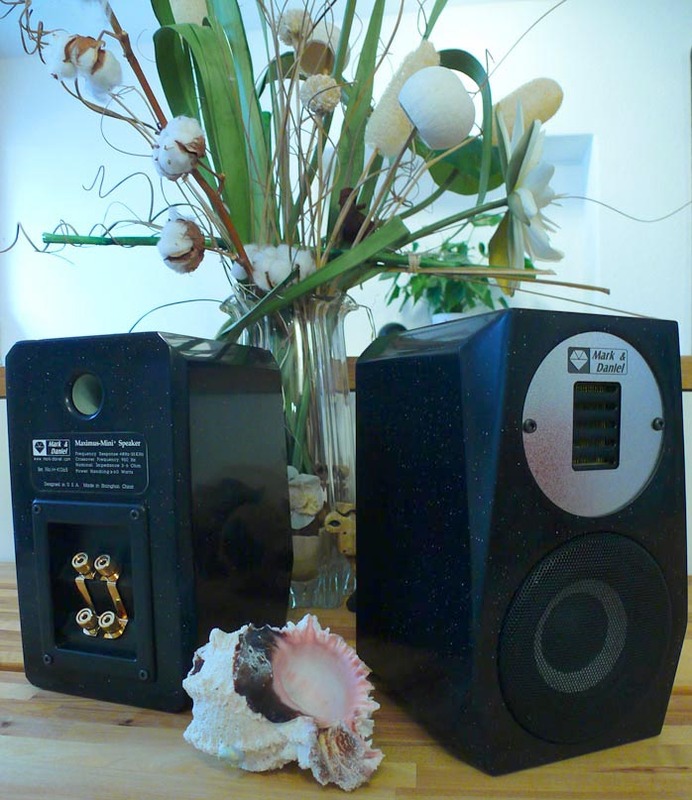 Speaker design 101 reminds us that to wring out low bass from a small enclosure throws voltage sensitivity to hell. On that bargain, the horned one won't be cheated. The Mini + thus stoops to a low 82.5dB between 3 and 6 ohms. 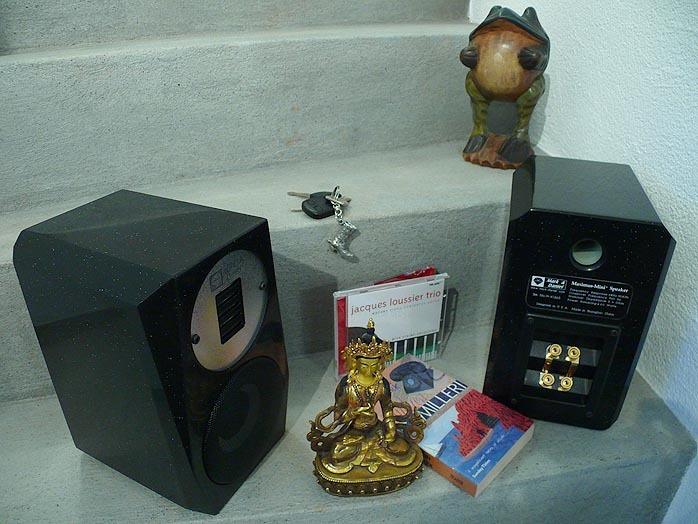 Its large-excursion proprietary M&D mid/woofer of 4-inch diameter stoops equally low, with a -- claimed! -- F3 at 48Hz. The in-house developed variant on Oscar Heil's air-motion transformer extends to 35kHz. The dense enclosure sports a quad-faceted face and mitered side edges and hits the scale at 6.6 kilos or 14.5 lbs. Four threaded bottom inserts hidden beneath the rubber bumpers on the base can bolt to stands, wall mounts or other support hardware. The '+' of the nomenclature meanwhile signifies next-gen drivers over the nonplussed models. Daniel Lee claims to have subtracted a significant amount of moving mass from the foil of his pleated mid/tweeter by halving the Kapton substrate thickness to 0.0125mm. Lower moving mass equates to increased efficiency. This allowed a drop of the 2-way crossover frequency from 1.400Hz (the standard Mini) to 950Hz. It also increased transient response and lowered distortion. Called the DM-2a, this driver includes 38 discrete micro-element parts and eight NdFeB magnets. 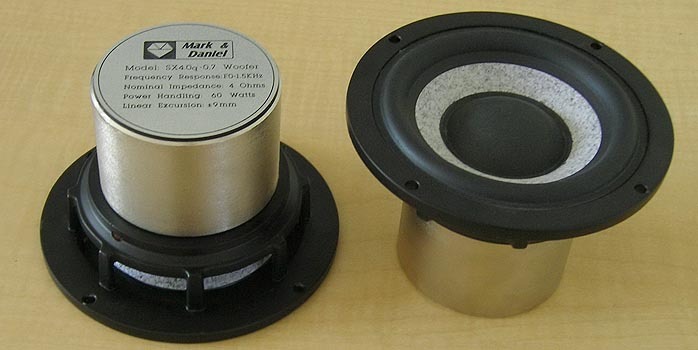 The total surface area exceeds that of a standard 1-inch dome tweeter by a factor of 15 while the necessary hand labor and assembly skills are said to be protracted and advanced. Refinements on the magnet array of the SX woofer have increased its linear max excursion potential to enable yet higher undistorted SPLs without core saturation. The protective metal perf grill over it is deliberately non-removable. Lastly, there are also the Diamond and revised Maximus models in this new Plus Range. "C'est ça" now as my favorite fuss-pot detective Hercule Poirot would say. Then he'd ask with a twinkle, already knowing the answer: "So - did you do it?" He'd mean the crime of course. That's his beat. We'll do the time instead (listening) and focus on Daniel Lee's claims and enthusiasm. Here's a tangent. People adore small things which do a lot. iPods. Cell phones. It's the epitome of hi-tech and cool to bundle lots of performance into the smallest possible container. The Mini+ concept follows that trend. If you're serious about sound, there's of course only so much speaker shrinking to be done before the sound shrivels as well. The questions are, does the Mini 'cross the line' just to be cool and petite; or only when used in too big a space (and what's too big then); and will punters want to lay out 1400 quid for a power-sucking Napoleon when any number of Canadian floorstanders cost less and sing sweetly on lower octane. It's not my job to second-guess a designer's concept brief. Nor am I worried about clear and present market potential. This assignment involves the deliberate pushing of reasonable boundaries.